The Cable Station™ is the ultimate solution to solve the desk top cable problems. Simply place your mobile phone charger’s cable, USB hubs, computer cables or any desktop cables inside The Cable Station™. Then stow away the surplus cable lengths, close the lid and done. Designed with cable outlets at 4 sides of the box, The Cable Station™ comes with 4 additional cable managing hooks which will keep cables organized within The Cable Station™ as well. 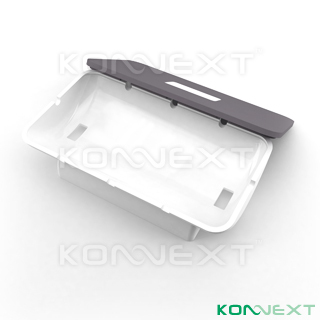 The tiltable rubberized cover lid is the perfect place to rest your mobile phones and electronics gadgets for charging while keeping the entire desktop clean and tidy.